There are many types electric assiast bike on ebike market. According to using way, there are mountain assistance electric bike, road power assistance, long-distance power assistance. And classified by type of motor, it include hub motors and Mid-mounted motors, etc. Let tell you seven things you want to know about electric assist bike. Why do you need an electric assist bike? Maybe just need a transport tool, cycling it to commute or shopping help you save time. Let you to do other things. Maybe just want to buy one to riding on all kind terrains, provide more power and climbing ability, help you faster, smoother and easier to reach top of the mountain, distant valleys and anywhere you want to reach. Maybe keep up with your friend and riding get together. Everyone have different reasons to need an electric assist bike, but it is no doubt that electric assist bike is a good helper for people. According to different living surrounding and requirements, electric bike have different types. Is electric assist bike heavy? Of course, electric bikes will heavier than non electric bike because of motor and battery. But during actually riding process, because the power addition of the electric power assist, so you do not feel the electric bike too heavy. Usually each electric assist bike weight not over 21-25kg, but some electric assist bikes equipped with a big power motor, the electric bike weight will be over 25kg. It is would be a problem without electric power assist. But some electric bikes weight are light depend on their frame material, and Shuangye have one model road electric bike (A6-R) is light weight with aluminum alloy, you can lift it easily. Where can I ride an electric assist bike? It is need to query your local legal, some countries legal prohibit riding electric bike or limited speed or power on the road. So you need to know your country or state legal clearly. Like European countries, some of them limit the power of electric assist bike. According to the different using way, there are different type electric assist bikes to meet their needs. Someone want to buy an electric assist bike to commute, someone want to buy one to riding challenge or riding outside long time. Based on these two situation, we commend classic frame city electric bikes and portable folding electric bikes for those who need to get out or commute easily. for example, Shuangyen A1-7 and A3AL28. For outside riding, fat tire electric bikes and mountain electric bikes are the best choice. Fat tire wheel and high power motor assist you easy to ride on different terrains, and mountain ebike is the best outside riding bike model. you can choose Shuangye A7AT26 and A6AH26. Which electric assist bike should I choose? First of all, you need to consider the material of electric assist bike frame. Mostly electric bike would use aluminum alloy for they are light, corrosion resistance and durability. So does Shuangye electric bike. And you need to pay attention to other parts, like brake, some electric assist bike would use V-brake, some would use disc brake. Usually disc brake is better and safer than V-brake, but if just meet daily cycling, V-brake is enough for you. Tires are also a major part, and shuangye electric bike uses KENDA’s high-quality tires to provide a comfortable riding experience, reducing the number of replacements. A smart controller as a bridge to manage electric bike motor, battery, LCD and other electronic parts. 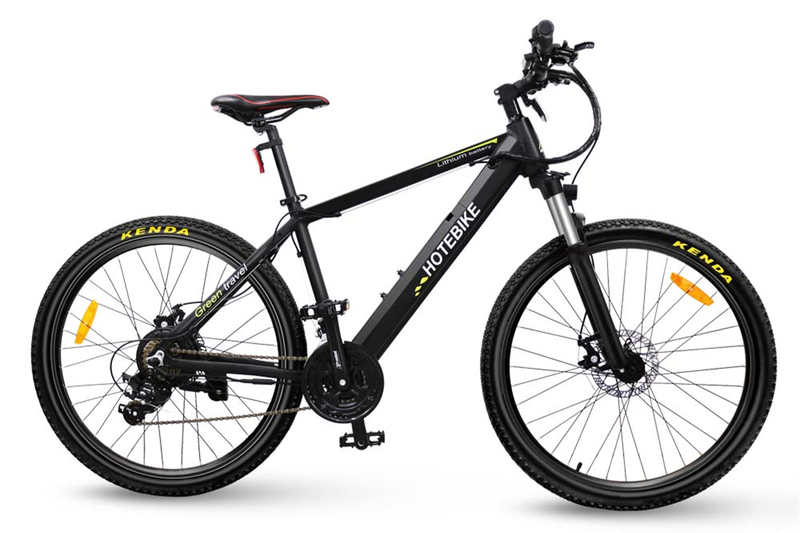 Therefore a excellent electric bike must made of high quality material and components. Now it is no a easy thing to research and develop an electric bike, it need to spend a lot of time and energy to do it. For example Shuangye electric bike. Always offer your high quality electric assist bikes. What is electric assist bike motor? 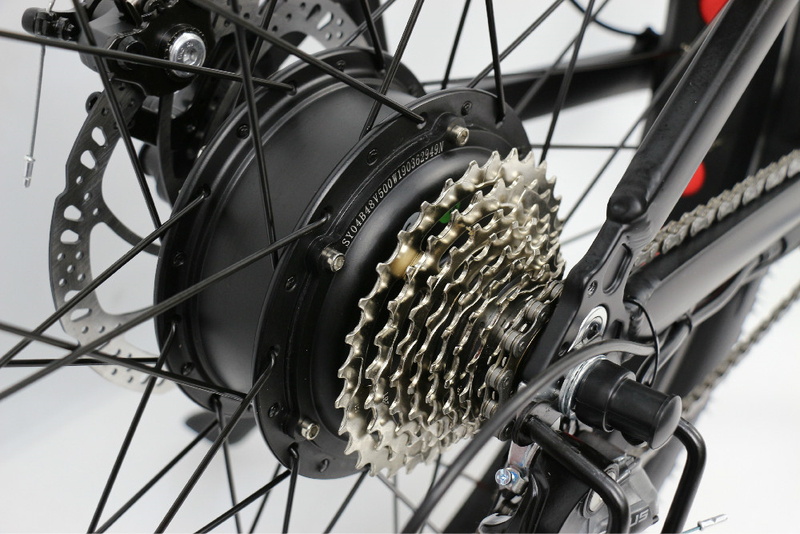 Motor – electric bike core part – is an important consideration reason when people want to buy an ebike. As we all know, a high power motor means that ebike will provide you more power and fast speed. And there are three electric biek motor types, mid-drive motor, rear hub motor and front hub motor. Most of electric bikes often use rear hub motor, as same as shuangye electric bikes, but a few of electric bikes equipped with mid-drive motor which is make you replace ebike wheels more convenient. Front hub motor is no common on electric bike market, so it is few front hub motor electric bike. Most of electric-assisted electric assist bikes are not much different from the “traditional” electric bikes on the transmission system. However, with the development of motorcycles, accessories dedicated to electric power products will become more and more common. 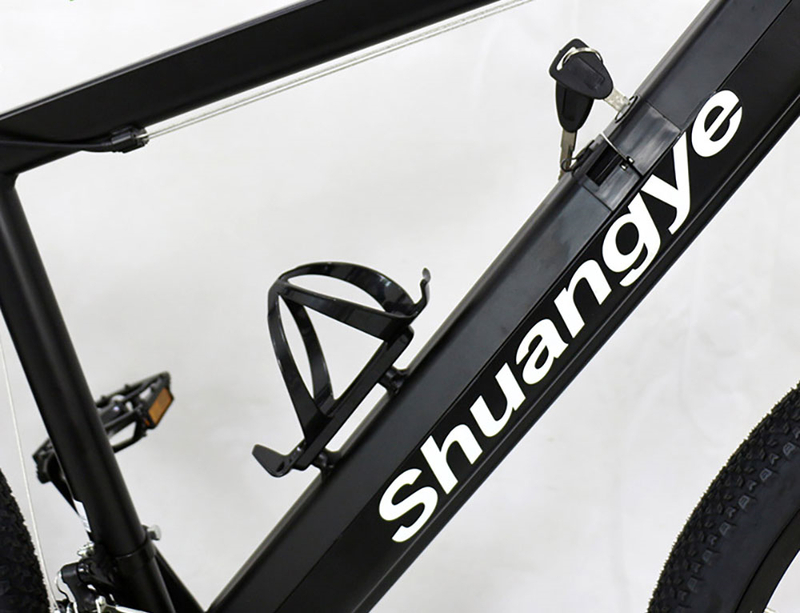 Shuangye electric bikes use SHIMANO transmission system which designed to provide an optimized E-MTB gear ratio range, as well as increased battery life and reduced part wear. And it is also possible to convert the SHIMSNO transmission system with mechanical shifting. Changing different gears depend on your riding situation. How long dose electric assist bike charge a single charge? Usually battery decide how long motor operating time. So a large capacity battery means operating ling time. And Shuangye electric bike provide 36V/48V 9AH/10AH adapt to your need of long-distance. It can be fully charged with a dedicated charger for 4-6 hours and can be riding 40-60km. According to different requirements, Shuangye offer you different types electric bike batteries, like hidden batteries, bottle batteries, triangle batteries, frog batteries and other. And combine with PAS system mode to help you save more electric. If you want to know more electric assist bike information, you could leave a message below.